I should mention before I start: the Banquo's Pilsner is bottled, and hopefully will be ready to drink in a couple of weeks. Also, I'm sipping on the Garbage Pail ale (it had a much shorter turnaround) and it has turned into a very nice hoppy IPA. I did have something different while brewing. Erin and I went through Niagara region yesterday, and stopped at Silversmith Brewing to pick up some of their fantastic Black Lager (it has become one of E's favourite beers-- apart from the fine products out of Mount Breithaupt, of course.) On a whim I also got a pair of growlers (at $5 deposit per.. ouch), one of which contained their Bavarian Breakfast Wheat. So: Dirty Fawcett Amber Ale: a simple beer, Canadian 2-row with two full pounds of this Thomas Fawcett Amber malt that I recently acquired. 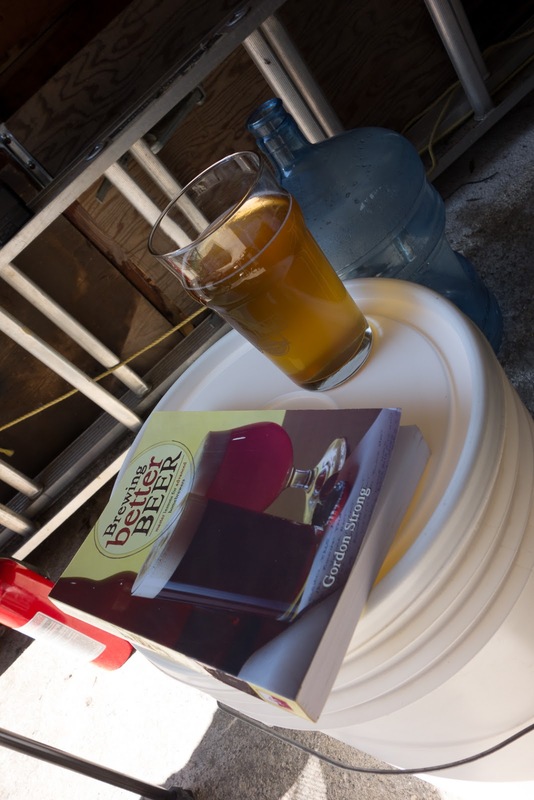 Modest additions of Willamette hops and a clean-fermenting yeast. This will be a very malt-characteristic beer, and I need that. Need to learn what I'm dealing with since I've got SO MUCH OF THE DAMN STUFF. Likely I will give some away, because I don't expect to be able to stuff 2lb of it into every batch, and I have... 38lb more of the stuff. Canadian 2-row and the dirty Fawcett. 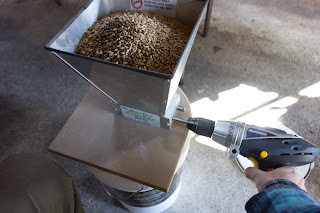 Milling the malt with a Canadian Tire special. 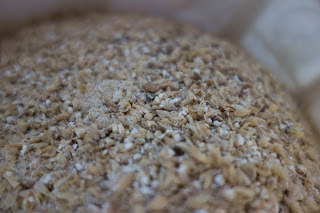 Milled malt, prior to mash. 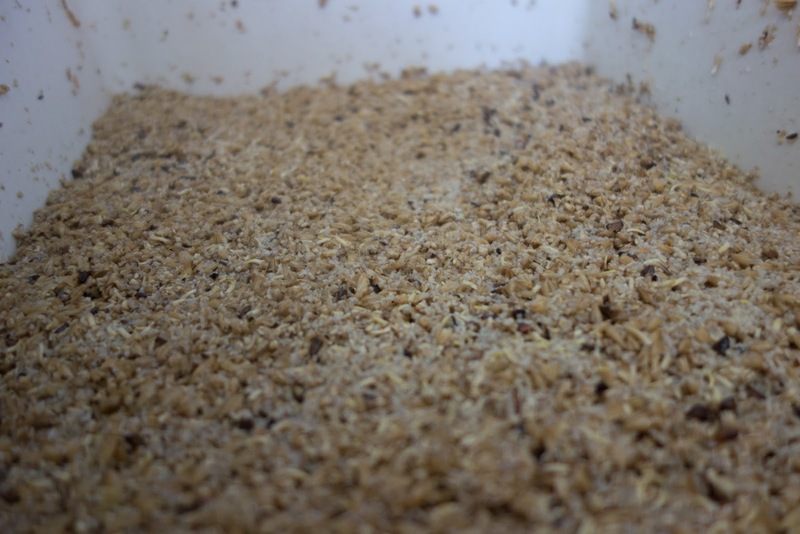 The same malt, spent after mash. 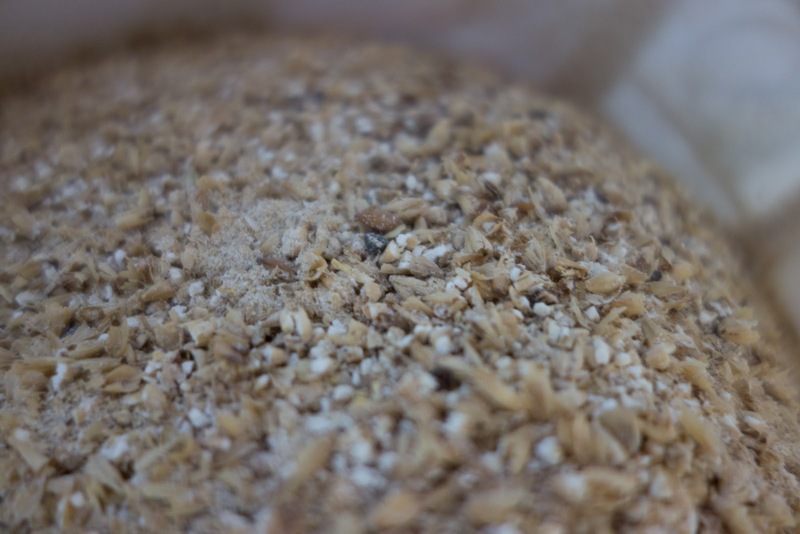 It's a brew day on Sunday! Coming up, a "Dirty Fawcett" amber. 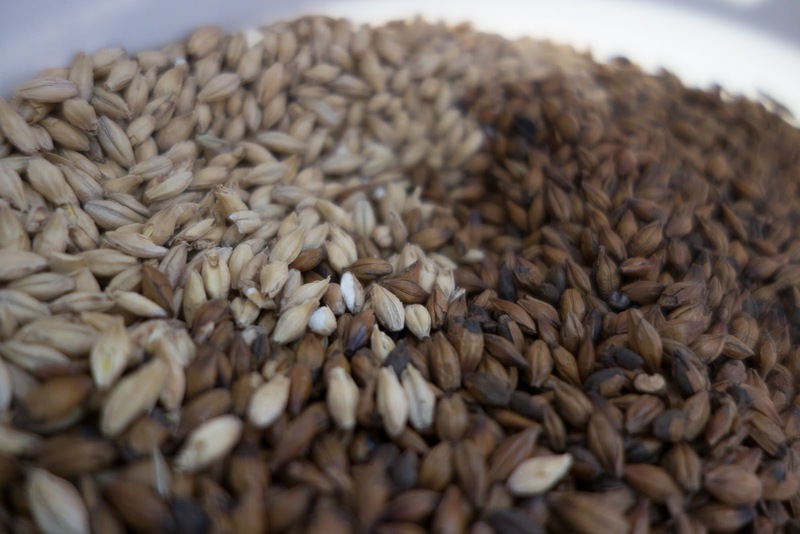 On Friday, I stopped in at Gilbertson & Page, a malt distributor near Fergus. I had an interesting chat with a new member of the team there, Shelley, who is interested in setting up that homebrew supply presence that G&P has been saying they want to do for the last two years now. Along with the full 55lb bag of Canadian 2-row I went there for, I ended up impulse-buying a 3/4 bag of Thomas Fawcett Amber. Turns out, this amber has no diastatic power, and has a fairly strong flavour, so it's not suitable as a base grain (contrary to what I thought.) But now I have rather a lot of TF Amber. 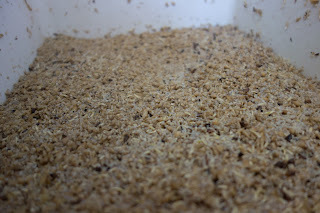 So, I plan on dirtying up a rather straightforward ale tomorrow with the stuff. As far as recipes go, this is a simple one. 9lb of Canadian 2-row pale malt, a full 2lb of the Amber, and the last of my Willamette pellet hops. If nothing else, we'll find out what this Fawcett tastes like.